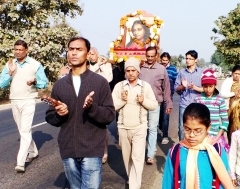 Amidst the Centenary Year Celebrations of Yogoda Satsanga Society of India, a monastic-led program was held in Indore during February 9-12, 2017. Yogoda sannyasis Swami Suddhanandaji and Brahmachari Sheelanandaji conducted the program. Swami Suddhanandaji delivered a public talk at Ravindra Natya Gruh in Indore on February 09, 2017. The talk was attended by around 700 people. A bookstall was also set up at the venue for people to procure YSS publications. A number of new devotees enrolled for both the Hindi and English Yogoda Satsanga Lessons after the talk. 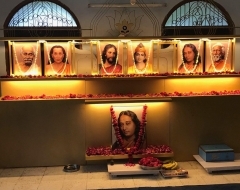 About 250 devotees from Indore and other parts of Madhya Pradesh participated very enthusiastically during the three day event, where they were able to have their practice of the Energization Exercises, Hong Sau, Om and Kriyatechniques reviewed by the sannyasis. 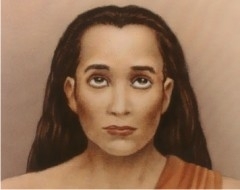 During the Kriya Diksha Ceremony conducted on the occasion, 17 devotees took initiation into the sacred technique of Kriya.